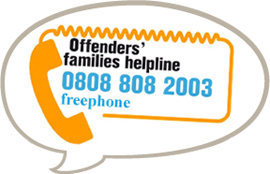 POPS manages ten prison Visitor Centres across the North-West and Yorkshire and Humberside providing a friendly environment for families before and after a prison visit. POPS’ Visitor Centres provide families with a dedicated area where they can sit down, have refreshments, use our crèche facilities and relax within comfortable surroundings. POPS’ Visitor Centres act as a ‘hub’ enabling families to access emotional and practical support and a wide-range of information and advice around the key issues that affect visiting families including property issues, travel costs, identification documents and prisoner well-being. 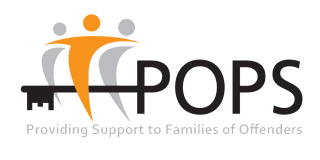 POPS believes that prison Visitor Centres should be conduits for visitors to connect with community services in order to address wider family issues and to facilitate access to support outside of the prison environment. This ‘Inside-Out-Outside-In’ approach encourages better engagement with the community ‘outside’ the prison walls, supporting longer-term, localised interventions for prisoners and their families. POPS works with a number of partners including the Citizens Advice Bureau and Homestart to ensure families can access the support they need. The majority of POPS’ Visitor Centres are also involved in working with partner prisons to facilitate family days, bringing the family together to take part in fun activities that children can do with both parents. This helps to strengthen relationships and parenting skills and plays an important part in preparing families for a prisoner’s release.